THREE STEPS TO COMPLETE HAPPINESS? 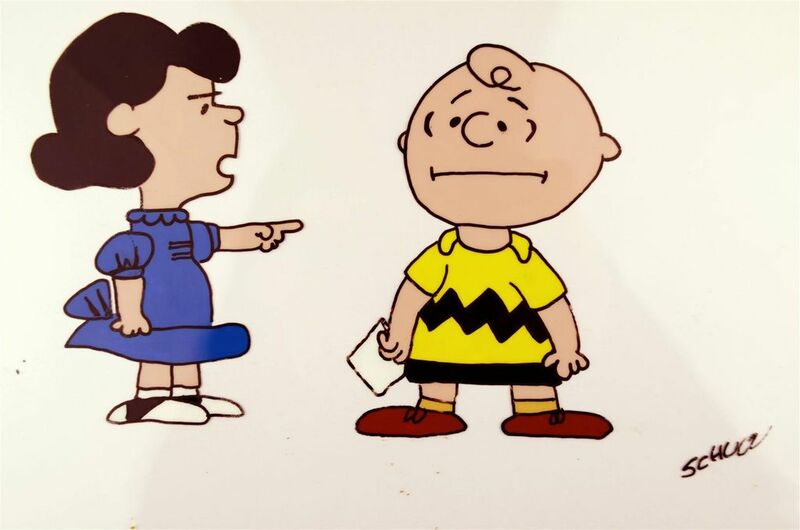 In a classic Peanuts comic strip, Lucy asks her old friend, "Charlie Brown, why do you think we’re put here on earth?" With great conviction Charlie says, "To make others happy!" Lucy ponders his thoughtful reply for a moment and then screams, "I’m not very happy so somebody’s not doing their job!" Did you just laugh out loud??? I did! But, in truth Charlie Brown is on to something, and there is some truth to his statement “we are here to make others happy”. If you just listened to my homily this weekend, you know that the first step to true happiness begins with the forgiveness of our own failures and sins. The second step is to forgive ourselves. When we experience that forgiveness we become very happy indeed. Nothing surpasses the extreme happiness that we feel after confession. So, it would behoove us to go out of our way to make other people very happy as well. Because our happiness is TIED to theirs. Now, what does making other people happy look like? First and foremost it would be for us to forgive others their sins and failings that they committed against us. There is a line in the “Our Father” that should make us all ponder what we are praying, when it says “forgive us our trespasses AS WE FORGIVE those who trespass against us”. See how connected we all are? Do you see how bound to one another God wants us to be? Our own salvation is linked to the very way we offer forgiveness to others. So, the third and final step is “forgiving others”. That is a huge statement that most people don’t want to consider. Do you want to know how to measure how far you have come in your walk with God? Your measuring stick shouldn’t be how many sins you commit or how many sins you haven’t conquered yet. No, the way to measure your so called Christian success is to look at how you forgive others. Remember there is no sin so grave that God won’t forgive, no sin so horrible that would make God ever turn his face away from you. His mercy and love endures forever. This should be our attitude as well. Remember sins usually happen from human weakness, and we all are human.